SITES-certified projects across the country are strengthening communities by educating them on sustainable site practices and the benefits of being in nature. Always evolving through continued research and experience, SITES projects transform the way people interact with the built environment. With more than 50 SITES-certified pilot projects complete, there are plenty of examples of places that have demonstrated their ability to foster curiosity and education, create a sense of community and improve the health of all living things. 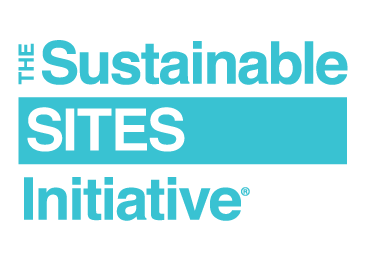 SITES projects can earn up to 11 points toward certification specifically on their ability to educate the public on the value of sustainable landscapes. To learn more about how SITES projects earn their credits, download the free SITES Rating System and Scorecard. The Charlotte Brody Discovery Garden at Sarah P. Duke Gardens, located at Duke University in Durham, North Carolina, was a former greyfield. The goal and mission of the Sarah P. Duke Gardens was to create and nurture an environment at the heart of the campus for learning, inspiration and enjoyment through excellence in horticulture—and the garden has done just that. The garden’s transformation focused on sustainable practices, hands-on horticulture and nature discovery for visitors of all ages. The garden contains both raised and at-grade vegetable beds, food forest plantings, an orchard, a rain garden, a bioswale, beehives, an herb garden, cold frames, cisterns, a historic reclaimed tobacco barn and pergola structures. Horticulture practices on the site demonstrate an organic approach to gardening. Visitors and program participants can take part in growing, maintaining, harvesting and enjoying fresh food from the vegetable beds and native food forest. Programs held at the garden introduce school groups, families, camp participants and adults to the benefits of growing their own food. The Hempstead Plains Interpretive Center (HPIC), located in Long Island’s Hempstead Plains, is the culmination of a goal by educators, biologists, researchers, artists and nature lovers. Hempstead Plains, the only naturally occurring prairie east of the Alleghany Mountains, once covered 40,000 acres and now covers only 60 disparate acres, due the pressures of urbanization. The primary objective of this project was to lead by example and create an environment for exploring and learning about the native prairie of Long Island and promoting responsible stewardship of the land. The Plains are located on the Nassau Community College campus and near several universities, so students and professors can use HPIC as a learning lab for both native prairie habitats and sustainable techniques. Nassau Community College contracts with Friends of Hempstead Plains (FHP) to manage the property. FHP is a dedicated environmental organization with a mission to preserve and restore the prairie habitat and the native, rare and endangered species on the site. FHP provides educational, research and recreational programs and techniques, including mowing, shrub and nonnative plant removal and reintroduction of appropriate native plants. The Swaner EcoCenter is a 10,000-square-foot education and museum building in Park City, Utah. The site demonstrates how building can take place in accordance with environmental responsibility. The integration of all design team members was a crucial strategy for earning SITES credits. Designing a site that met the client's mission of environmental education drove the project toward decisions that were also necessary for earning SITES credits. The center provides visitors with a starting point to experience the 1,200-acre Swaner Preserve through a variety of engaging environmental science education programs. The educational opportunities available at the EcoCenter have continued to grow—school field trip offerings have expanded, a full-time youth educator was hired and summer camps have grown immensely. To read more about these and other projects, visit our SITES project directory page for case studies.